Whitney Houston’s numerology is most revealing. She entered the world on a 9 global day (her Destiny Path), and died on a 9 global day. She was also born on the 9th day of the month. 9 is the number of deep emotions, trauma, drama, endings, giving, and creativity, all of which were major aspects of her short, brilliant and turbulent life. 9 is the number of an ‘old soul’. I know nothing about the circumstances of her death right now, but I think the following excerpt speaks volumes about her life – and the way she has been judged for it. It is from my soon to be published (as yet untitled) book on Birth Karma, and would apply to anyone born on August 9 in a 19/1 global year (1+9+6+3 = 1+9=1+0=1). Born in Calendar Week 32 in a 19/1 global year: The quality of your relationships is emphasized throughout this lifetime, so that you can better understand your karmic connection to others. This energy suggests that you came into this lifetime to heal unresolved issues and then move forward with your personal evolution. However, deep emotions are involved which can effect your physical and mental wellbeing. If you can accept that fact, you will realize that it is impossible for you to stay focused while so many aspects of your life are swinging between the past and the future. You will not be able to achieve your objectives if you pressure yourself to stay centered in present time, or to remain emotionally neutral. At this point in your personal evolution, that would be a form of stagnation. Once you accept that it is natural for your personality to reflect the emotional rollercoaster you are frequently on, you will learn the art of appropriateness. The extremes of your life really do exist, and you came here to seek the insight that will bring balance. And the kind of balance you need has nothing to do with time, competition, subduing your true feelings, or keeping up appearances. It has everything to do with being yourself and being sincere, no matter how you are connected to others…. Born on August 9 in a 19/1 Global Year: This lifetime is a chance to end old behaviors or circumstances without falling into the trap of believing that they are the ‘norm’. You came into this lifetime to complete that unstable phase of your existence. At some point, when healing takes place, you will be able to look out into the world and realize that you have all the potential you need to elevate yourself to a new level of freedom. To get there, you will have to develop a strong desire to make constructive use of your time and resources, and to learn from past experience. Don’t be distracted by trivial matters or what other people may think of you. Do not be afraid of new and unusual ideas, help others when you can, and rest whenever you need to. This entry was posted in numerology and tagged numbers, numerology, whitney houston, Whitney Houston Old Soul, whitney houston's birthday karma, whitney houston's numerology. Bookmark the permalink. So nice after reading some of the comments on other sites to see the compassion from you Christine. Thank you Whitney for the joy I received from you and may your path be full of love and light. Your music will live on for me. Your life path is 8 and your ruling number is 7….just google lifepath 8 and many resources will come up. Just add all the numbers of your life to get your life path and your ruling number is the day you were born 1+6=7. I decided to reply to you because we have the same birthday only I was born 1978. Born in calendar Week 20 in a 5 global year: in this lifetime, you may sometimes find yourself stuck in situations that you believe are quite ‘normal’, and there you settle into what you believe is your ‘comfort zone’. But eventually, when you become bored and stifled by the tedium of it all, things start to get uncomfortable, and you realize that what you really need in your life is adventure, variety, progress and peaceful coexistence. Self acceptance is a large part of what has to be learned in this lifetime, which means that you must accept the way you feel on an ongoing basis. That is what will help you keep your balance when everything changes and you find yourself in a new situation. Giving the appearance of confidence and ease around others may come easy to you, but if you are not being true to your real nature, (honest with yourself), you cannot adjust as you need to. You came here to gain the experience of adjusting and adapting – the ability to keep yourself balanced. Born May 16 in a 5 global year: there are elements of excitement and adventure in your birth numbers, but yours is not a journey that can be traveled alone. You operate best in circumstances which require cooperation, teamwork and great attention to detail. Provided you know what you’re dealing with, you have a talent for coordination. One of the things you came into this lifetime to learn about is RELATION: how people are connected to each other, and how one thing leads to another. Understanding the laws of cause and effect is essential to your long-term wellbeing. Be careful not to judge people and ideas hastily. Take the time to look at all the details involved, and to know how you really feel inside. Snap decisions do not usually work in your favor. You need to see how the smaller details fit in to the big picture. Look realistically at what you’ve already got. It holds many clues. Do not allow others to have power over you. Do not try to take on more than you can handle. Be realistic. If you need help, ask for it, and accept it with gratitude. Your words are always life affirming, nice to read the balanced view. Whitney chose a challenging path and we all benefited from her passionate gifts. I am looking forward to when you publish you newest book on Birth Karma. I love my Life Cycles and it is very well worn from use. Thank You Christine for the love you put into your work; and for sharing is so generously on Face Book and via your weekly forecast reminders via e-mail. She certainly did choose a challenging path, Linda. Yes, I’m looking forward to publishing this book too. It’s a huge body of work, so I am working on how best to format it so that we can look up our own and other people’s birth karma with ease. I’m so glad you’re enjoying this work so far, and thank you for your kind words. I just discovered you and feel amazed. Thank you very much for you kind guides! Nice to meet you, Rocío!! I too like your compassion for Whitney. I think your reading described the challenge she came in to face well. I have a 9 year destiny son, filled with amazing, and countless talents in music and the arts as well as intellect and strong astuteness in feelings, however his life too has been a challenge. I think being a boy (34) has made it challenging as well with all of his deep feeling abilities (many water signs in his astrological chart), and the focus on men not to have feelings. He doesn’t know how and where to express them and has used drugs throughout his life as a way to manage them. He is struggling still and my hope is always that he will choose a different path than Whitney. Hello Karen, it’s been such a long time since we spoke. I hope you’re well. I am also a 9 destiny, so I know how hard it can be to live in this system of ours when the strong emotional current within is telling you that the system is all wrong. May I ask his date of birth? (Privately if you would prefer). I didn’t think to look up Whitney’s Life Path until Saturday. 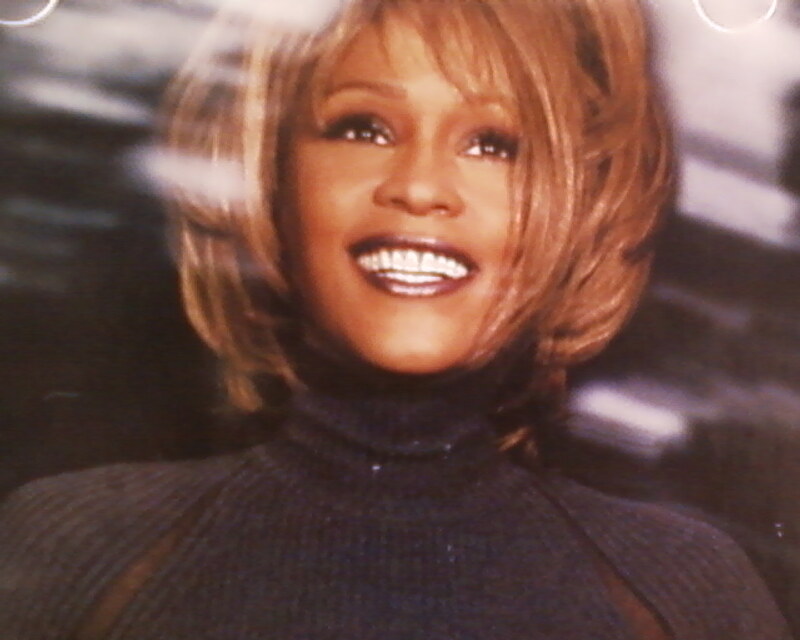 But, after learning she was a 9 Life Path with a 9 Birth Day, I was able to have a much better understanding of Whitney. I have never met her but I feel I know her personally. I am a 9 Life Path with a 9 Attitude. Therefore, I can understand the how’s and the why’s when it comes to her life. She lived her life baisically as she wanted to live it and was very determined to make her own decisions. She was a very giving person and touched so many people. She never really felt the love we all have for her. When you know who you are and why you are here, then you have a better opportunity to live in harmony with nature. I’m very thankful to God that I learned of my Life Path and other numbers associated with my birth date and name. I’m in the process of becoming the best I can be. R.I.p Whitney I was wondering what is my karmic I was born June 15,1983 at 11:20a.m. Born in Calendar Week 24 in a 3 Global Year: you came into this life time to release yourself from a burden or past mistake which is reflected in the burdens and mistakes you encounter along the way. The only way you will be able to do this is by being completely honest with yourself about what you are feeling. As a result, you will develop authenticity, and you will understand what is happening around you and within you on a very deep level. However, getting to that point may not be easy because you can be easily distracted – especially by guilt, which can make you feel unworthy of personal fulfillment – and so you look for satisfaction and security in things that are ‘beneath’ you. You must learn that guilt and love are not the same thing. Guilt judges and punishes. Love heals. Love loves! Let all those pent-up emotions out, privately and safely. You came into this lifetime to shed that excess baggage, and replace it with Free Will, constructive ideas, and optimism. Born June 15 in a 3 Global Year: the need to express yourself openly and honestly is very strong, but you must remember that you came here to develop a new level of responsibility in which there is simply no room for judgment, guilt, blame or retaliation. This is a ‘reflective’ journey in which your own shortcomings are often mirrored in those of other people. But, rather than rely on and allow guilt to tell you what is right and wrong, you must listen to the love in your heart instead. You have a great ability to solve problems, and you will be able to prosper from this just as long as you are determined to get to the root of the problem. Understanding the laws of cause and effect is an important aspect of your journey. Always be aware of the role that you yourself are playing in any given situation. Guard against complacency. While you merely wait for something to sort itself out, underlying aspects may be taking on a life of their own and moving towards uncomfortable extremes. If you are aware of a bad habit creeping into your life, make every effort to stop it immediately. Habits and rigid routines do not serve you well. What is my life path. I was born August 5, 1949. Hi Christine, I have really enjoyed going to your website everyday to see what my daily number says. Would you please tell me what you see for me? My birthdate is: 12/27/1950 . I have been told why I am here, but I do not know yet what my purpose is. Will you please tell me? Thank you so much. Born in Calendar Week 52 in a 6 Global Year: families and groups are made up of individuals, all of whom have a right to live freely and openly. The more one individual tries to influence or control the others, the more complex life becomes. You came into this lifetime to heal situations, not control them — to act as a mediator between people who cannot agree, not set them against each other. Let go of unrealistic expectations of others or, if you find yourself in the other extreme, seek a way to release yourself from someone else’s rules and expectations. Know the difference between the feeling of ‘belonging’ and the belief that we ‘belong’ to each other. Love cannot be owned. Love needs to be free, felt, expressed, shared, given, and received, and that’s the beautiful experience you came into this lifetime to have. Born December 27 in a 6 Global Year: you came into this lifetime to conclude an unresolved matter and finally put it behind you. This is part of the reason you often feel a sense of urgency when it comes to moving in what you believe is a forward direction. The events and circumstances of your life will help you to heal from your past, and teach you that the only doorway to the future exists in the present. That is why you are so aware and always on the lookout for opportunities to move ahead. This particular set of birth day energies provides you with a good sense of timing. You instinctively know that one can only assess whether the timing is right, or not, through the impulses sent to the mind by one’s feelings, instincts and emotional senses. It is therefore important to understand that there is nothing wrong with changing your mind. You cannot learn anything new unless your mind is open to new understandings. What may not feel right to you now may turn out to be something you can fully embrace later, and this must not be labeled as “inconsistent”. Your ability to change your mind is often a measure of your evolutionary progress. As you make your way through life, you must be completely honest about your needs, desires and beliefs. Thank you for replying to my post. Reading what you wrote really touched my heart. I feel like you really understand my issues. Have a BLESSED DAY!!!! Christine, I went back and reread what you wrote, and really let it sink in, do you really see a much better life for me later on after this chapter is over? You are right, I am in the midst right now, learning about what I am here for, and it is very hard on a day to day basis. I pray that there is a light at the end of the tunnel for me. Thank you again for your kind words. Louise, it’s not so much a chapter that you’re experiencing here but more the plot of the entire story. 2012 is a year of self-empowerment for you, a year to truly take charge of your own life. This will enable you to start a brand new chapter of your life based on the above karmic reading. Be sure to read your 9 Destiny Path, too, the path of ‘letting go’. This doesn’t necessarily mean letting go of the people and situations you love, but of the emotional ‘grip’ you have on each other. 2012 is a 5 year in the world, which will help you make major changes in your life. You are in the 8 year in which you reap what you sow. This vibrational combination will work very well for you provided constructive change is your firm intent, and that your intent is loving in nature. Much love to you, Louise. Best wishes. Feel free to comment by posts or by email. Yes, your Life Path Number is 9, Trish. See the link further up the page. Your birth Karma is a little different to most people’s because your day and month of birth also adds up to 9. This means you have only one reading (the above readings have two components), and it is highly concentrated. Born February 7 in Week # 6 in a 9 Global Year, you will find that a modest attitude will serve you well in this lifetime, but do not mistake modesty for being less than you are. In your case, being modest means being your natural unpretentious self. It means being able to stand in other people’s shoes, expand your view, and know that there will always be differences between individuals, simply because each of us has a different view point. Their view is what they see from where they stand. Your view is what you see from where you stand. “Live and let live” is the motto of this diverse, emotional and inspiring path. So, when life makes you angry, hurt, afraid or sad, try to accept that everyone has their own needs, circumstances, understandings and feelings, and that no one owes anyone anything. Your true nature is warm and loving, and you can never stop caring about others without losing part of your own strength. Caring is not a weakness. Caring is an essential power that we all need to develop if we are to change our world for the better, and you possess this quality in abundance! I would like to know about my karma. August 3 1984.
hello tirani: Born in calendar week #31 in a 22/4 global year: you came into this lifetime to learn how to take your own needs seriously without becoming intimidated or manipulated by the circumstances, personality, or even the titles or labels of others. You came here to learn about sincerity and friendliness. When you feel boxed in and unable to live by your own design, it is up to you to reorganize your life so that you do have time and space to call your own. Just remember that being organized is not the end result. It is just the beginning. Being organized sets a firm foundation on which to build and operate. The events and circumstances of your personal journey will teach you that you cannot depend on others for the quality of your life. It depends on the quality of the choices you make and – where you are getting your information from. Do not believe everything you see and hear. Check things out for yourself – and double check. You came into this lifetime to learn about the importance of patience, especially when it comes to detail. Born on August 3 in a 22/4 global year: there is a running theme in this lifetime which is related to responsibility and fairness within relationships, families or groups. Balance is needed. Always be sure that you give yourself a fair chance to succeed. Early experiences will help you recognize when you have taken on too much and need to change conditions, or take a break – without feeling guilty about it. Be aware of the value of what you have to offer and what you really hope to gain in the long-term. You have a large presence among others, to the extent that even a small change of heart or mind can alter the setup. It is in your best interests, as well as those close to you, to create situations in which everyone stands to gain. Do not go to extremes. There is no room for compromise when it comes to your own security and wellbeing. Take care of yourself! Thank you. What is my life path number? Born in week 35 (an 8 global week ~ 3+5=8), on August 28 (two more 8s in your birthday), and in an 8 global year (1+9+7+0=17=8) and, as if that is not enough 8 for you, you were born on the 8 Life Path (aka Destiny Path): throughout your life, it is important that you seek specific knowledge which will help simplify and make things easier for you and others. In fact, this is the key to your success. The circumstances of this lifetime enable you to develop composure and dignity, and to develop the power to create new things and circumstances out of existing resources, talents, contacts and other useful realities. Always keep in mind what you already have. Be prepared to utilize it and make whatever adjustments are needed in order to attain whatever it is you are looking for. Believe in yourself. The more you expand your focusing ability, take whatever time it takes to notice important details, and figure things in depth (not shallowness), the more successful and satisfied you will be. Part of that depth includes the power of compassion and fairness. Thank you so much, Christine, for taking the time to respond. I love your site and your wisdon pertaining to numerololgy, I have been following your site since 2010 and was very inpress with the purchase of my personal year book and looking forward to part 1 of my personal profile. sudden developments, delays, interruptions and reversals are to be expected in a lifetime which emphasizes the unusual and the unexpected. Compassion, humility and patience are needed for their own sake of course, but also because you just never know when you may need a helping hand or a friendly place in which to rest and replenish your energy. You came into this lifetime to develop the personal power to change something which you deeply believe needs to be changed. You came here to make a point. So, instead of feeling stuck in situations that you think are beyond your control, remind yourself that there is something important to learn from every situation you encounter. You tend to be more of a doer than a dreamer, and as Gandhi wisely said, “you must BE the change you want to see in the world.”. December 10, 1970: 3 DESTINY – you came into this lifetime to experience the power of communication, and significantly expand your knowledge of this field. But your path is not without obstacles, one of which is likely to be the fear of failure that occurs when openness meets stubborn beliefs. To counteract the effects of other people’s ignorance (and your own at times), you must not be afraid to be your unique self, even if it means being very “different”. Independence and originality are your principle tools in life, but without authenticity you will not know how to use them. Don’t follow the crowd – or those with whom you are impressed – or those you want to impress. Follow your own feelings. There is no need to be overwhelmed or intimidated by the exchange of information that seems to flow in and out of your life. It is only through openness and the love of freedom that communication can be truly effective. You are solely responsible for what you believe, so base your decisions on what you feel is true – not on your need for reassurance or approval. I really felt deeply sad when Whitney died…..seeing how much she struggled with so much talent. I’m a 999. My name is elisabeth anna smith born 9-24-1983. my first name has 9 letters, middle and last 9 as well. Interesting Christine to see you are a 9 too…..I am in a similar field as you as a psychic and theta energy healer and find my life until now to be very dramatic, difficult and painful but also really resonate with the old soul part. I recently went completely blind, and have had so much turmoil the last few years. By the grace of god vision was restored in one eye, but, one was lost forever. I have struggled with addiction and many other issues in the past and have found those past mistakes though years old to really have affected my life now. I’m really seeing consequences to past actions. it has been the most dramatic and difficult few years of my life, though most of it has been out of the ordinary. I find great satisfaction in my work and helping others but struggle personally a lot……sort of the wounded healer phenomenon. Thanks for your great insight and articles. As you look for ways to integrate your very strong creative needs and desires with those of others, guilt will tell you that other people’s needs are more important than yours. That’s what guilt does – it makes you feel guilty whether you are to blame or not. Accept that guilt exists, but do not be drawn in by it. Remember that creativity is not some random energy you apply when you feel like manifesting something in the material world. Creative living involves the ongoing spontaneous expression of feelings and the constant learning of all sides of the story. You came here to heal yourself and try to heal the gaps between you and other souls. You came here seeking peace, and the only way to approach intentions such as these is creatively, not destructively. September 24, 1983: 9 DESTINY – you are seeking truth and understanding. The circumstances of this lifetime remind you that appearances can be deceiving and that you cannot judge a book by its cover. However, at the same time, you are developing trust in your own instincts and intuition. You are constantly dealing with ‘mixed messages’ and, therefore, mixed emotions are unavoidable. You are trying to find truth and meaning in life’s apparent chaos, but you can only do this from developing your ability to ‘sense’ and intuit. This means that you must deeply FEEL and EXPRESS your feelings, no matter how old, contradictory or even controversial they seem. The vibrations that come from your emotions open your mind – and you do have great potential for open-mindedness and wisdom. The ongoing process of combining your masculine/feminine, spirit/will, mind/emotions, thoughts/feelings, electrical/magnetic, will broaden any narrow views you may have, sharpen your focus, and empower you as an individual simply because this combination of energies makes you a more “whole” human being. It also provides an impressive gift which reveals what you most need to see at any given time. You know that the truth is often hard to listen to, look at, feel or accept – and you also know that it is the only thing that can set you, or any of us, FREE. I stumbled onto this webpage because I was looking for the birth time of Whitney Houston. I was born on the same day and year as her and as such, always felt a connection with her and her life. I was curious to know how close our time of births were; Whitney apparently at 8:55 PM (EST), mine was 2:12 PM (CST) ~ 5 hours, 43 minutes a part. I was really struck reading your excerpt above about this birthdate. I have always thought of myself as an “old soul,” that I should have lived in times long gone by. But here I am and as you quoted, my life has been a neverending roller coaster of traumatic events! I am one with very deep emotions that are always felt and expressed with heartfelt valor. I fight with myself everyday not to give into the notion that I was put on this earth to live my life in misery but I definitely have my moments of doubt. Apparently I have not found my “balance” as yet but pray the insight for it reveals itself soon. I am overall a very sincere and all-giving person just striving to keep an optimistic attitude and to live life conscientiously, but as such, I often find myself asking what I’ve done to deserve having a life full of so much trauma and heartache. (I’ve done the counseling thing at several different times throughout my life but none have helped as they ultimately just end up being amused by my many life stories ~ turns out to be just a waste of money since I can have the ear of friends for free!) If I was born when I was to “heal unresolved issues”, how do I figure out what they are so I can move forward with my personal evolution? How can I realize or know my purpose in order to achieve peace in life? I am so ready for the heartache to cease! As you can see, I’m searching for advice or answers as I stumble along my journey/path to what will hopefully be a happy and content destiny. Since Whitney and I share the same numbers, I guess our paths to destiny are similiar ~ I hope she was able to resolved what she needed to have her peace for eternity. Reflecting back on mine and Whitney’s birth time, something came to me that I would like your perspective on with regards to the numbers . . . . My birthdate was predetermined by my parents as a scheduled c-section; it was chosen because it was a Friday close to my due date (so my Dad would be off work for the weekend). My oldest brother was born prematurely by emergency c-section and as it was the practice back then, all subsequent births were then c-sections. Do these “planned” birthdates (even with the inducing of labor these days) have any effect on what one’s true numerology would be? If nature is to take it’s course for your life, shouldn’t it be figured from a date with naturally brought on labor and delivery? Or is it that this predetermined actions by our parents are just somehow a part of the overall scheme of what our destiny is meant to be? Thank you in advance of your thoughts and any guidance you could offer! You came into this lifetime to dispense with guilt and feel the beauty of your own innocence. Therefore, guilt is likely to be a major aspect of your learning experience on Earth. Once you recognize this for yourself and realize that guilt is far more complex than any of us realized, a much deeper desire for friendliness, cooperation and peace will develop from within. When you are able to detach yourself from guilt, without denying it exists, self-respect (self love) will replace it. At some point in this lifetime, you will have to deal with a part of yourself that could be considered cold and even heartless, and this may come as a shock to you because deep down your intentions are loving and peaceful. You will need to be very honest with yourself as to what you are really feeling. If you want to experience unconditional love, you must let all your harsh feelings and judgments move into love’s light where they can be accepted and healed. April 24 1987: 8 DESTINY – keep an open mind as your journey unfolds because vital information is trying to reach you, in many instances from people and circumstances which thought had nothing to teach you. You came into this lifetime to actually GET what you want, so make sure you are prepared to receive it. That means being open to many different possibilities. It also means being open and honest. Fear of failure is inevitable, but it will subside once you visualize, intellectually and emotionally, exactly what you hope to accomplish. See the end result in all its detail. Feel it with all of your senses, and then work backwards to see how it was achieved. The laws of cause and effect are at the root of magic. I .. good work thanks you ………..
my birthday is 17 décember 1947 ………. So I think is the 51 weeks……….. is it that ? and what is my karma ? this lifetime contains potential for you to live a creative and purposeful life, and discover new ways to become materially secure – through independent means. Many of your experiences will involve friends and acquaintances and are likely to revolve around the way you use words and generally communicate. Some of your experiences may involve deep emotions which you have been unable or unwilling to express through a fear of being seen as weak or uninformed. Holding such intense energy IN can blind you to your own impressive potential. Guilt (which is not an emotion but a useless web of judgment) can prevent you from expressing your feelings outwardly by subtly telling you that you have no right to grieve, be angry or afraid — OR to move on with your life. Therefore, unraveling yourself from the sticky tentacles of guilt is a large part of what you came into this lifetime to achieve. There’s a fine line between your mind and your emotions, and it is up to you to create a comfortable balance between the two. December 17, 1947: 5 DESTINY – you came into this lifetime to learn how to play an active role in the material world and succeed by sensing your way along. You must learn to feel and intuit and know when to proceed and when to stop and when to change course. This can only be done by cooperating with other people and circumstances and understanding the NATURE of whatever it is you’re dealing with. In this lifetime, responsibility needs to be taken – and shared. Your willing cooperation can lead to lucrative partnerships and can also bring about unions, reunions, truces, and forgiveness. You will prosper by using your light to help someone else shine. responsibility, connection, and opportunity go hand in hand in this lifetime. But it can often seem as if there are strings attached to all your attempts to move ahead. In most cases, those strings are made of guilt, and it must be remembered that guilt is not an emotion but, rather, a judgment you have made against yourself which actually prevents emotional expression. Guilt is sometimes right, but it is often wrong and is, therefore, not the best basis on which to make decisions. If there is loving intent in your heart, you can trust yourself to do the right thing at all times. In this lifetime, you must patiently observe and assess the details. Ideas can be set in motion by studying what “is” and seeking ways to improve or maintain it, and by communicating your ideas and needs to others. You have an inborn ability to demonstrate and persuade, rather than force or manipulate. Your ability to feel and sense (your intuition) is a great asset, but instead of being overwhelmed and oversensitive to the diverse and sometimes dramatic events in your life, acceptance of reality is the key. This includes acceptance for all your feelings no matter what form they take, and leads to deep understanding and impressive intellect. By allowing your emotions to express themselves as they need to, and by practicing PATIENCE in all situations, you will be able to enjoy the rewards of this particular path – which include being in the right place at the right time, and connected to the right people. February 1: 9 DESTINY – with a strong emphasis on the truth, you will be unable to make progress in this lifetime in an atmosphere of guilt, blame, or enforced silence. Truth means honesty, and your feelings are indeed your honesty. Your experiences will teach you to be emotionally honest, and will demonstrate how some feelings can mask other feelings to the extent that you don’t know they are there. You came into this lifetime to experience LOVE in its fullest and warmest forms, but in order to do that, you will have to deal with parts of your love which got hurt somewhere along the way, and never had a chance to heal. You are here in this lifetime to heal your heart. Don’t deny your anger, or any of your feelings. Provided LOVING INTENT is in your heart, you will find that expressing your feelings is how you heal them, and this will expand your understanding of life considerably. Always remember that there is never a need to hurt yourself or anyone else while expressing your emotions outwardly. When necessary, take the private time and space you need for this. That’s so nice of you, Zyesha. Thank you. Hello Miss DeLorey, I have terrible karma. Born in week 29 in 1988 (24 July). I really feel people instantly dislike me and cannot connect to them, no longer have any close friends and I just feel bad around people. I m lonely, yet no one makes me feel good. My love life is non existent. In addition to that, here is some of the karma which you came into this lifetime to heal, let go, and put in its proper place, behind you. you came into this lifetime to slow everything down so that you can SEE and SENSE what is really happening to you, and around you. Preoccupation with one area of your life will only cause another to be neglected. Since you came into this lifetime to learn about and experience the power that comes with true balance, you must try to regain your footing as soon as an imbalance becomes apparent. Always be aware of your own behavior. Don’t wait until you are shocked into noticing a bad habit or approach. Whenever the scales need to move in a different direction, remember that your best interests depend on your being able to analyze the situation thoroughly, so that you can instinctively know whether you are meant to stay or walk away. Do not allow anything to consume your life to the extent that you have time for nothing else. Variety is essential to your wellbeing. You came into this lifetime on a strong evolutionary wave which enables you to grow and mature. This places you in a strong position, but it is still up to you to know how and when to use your abilities and advantages. Life is a bit of a gamble for you. Born on 24 July in an 8 Year – (1+9+8+8=2+6=8) – events and circumstances that appear to be problematic or contradictory may actually provide opportunities to create more freedom and ease for yourself. You may frequently experience delayed reactions to events and circumstances from the past, and you must try not to fight them, but use them – to learn and grow – and change undesirable conditions. Let their shock waves move through and out of your body. Feel your feelings fully – with the intent of peace, not aggression or revenge. Once they have passed, you will be able to see and understand your position far more clearly. Your feelings run very deep and allowing them to move naturally is the only way to heal them – and healing them is the key to healing you. There is a strong emphasis on balance in your life, and you came into this lifetime to experience extremes so that you can learn how to bring yourself back to the center. Only with peaceful intent can you stay centered, because aggression is part of those extremes. You came here to learn certain lessons which you will eventually be able to communicate to others and help them grow, too.